Sourdough Fuel is pleased to offer discounts to our senior citizens and active military members. Does your employer purchase fuel from Sourdough Fuel? If so, you may qualify for an Automatic Delivery Discount. Contact us at 456-7798 for more information. Please note: in order to qualify for a group rate, you must be an automatic delivery customer with a current Credit Application on file. 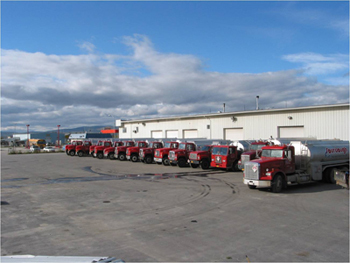 Sourdough Fuel offers an eleven-month Budget Payment Plan for yearly heating oil deliveries. The budget season starts in August and ends the following year in June. We calculate the past history of the home’s fuel usage or square footage for each level and multiply the gallons by an anticipated cost of fuel for the season. We then divide the total by eleven months. Your account must be on automatic delivery to have the option of our Budget Payment Plan. When you receive a delivery you do not pay the invoice just your budget payment each month. Call-In-accounts must be paid within 30 days and will not be included the Budget Payment Plan. Payments are due on the 15th of each month. Accounts started after August will have payments adjusted accordingly to end in June. For your convenience, your account can be set up to bill automatically on a credit or debit card each month. You will receive a monthly statement of account activity. Just a reminder that the budget payments are calculated for heating oil only. Furnace repairs are not included in your payment plan and need to be paid separately.